Entertainment company, Zylofon Media has revealed to the general public of not being part of Ghana Movie Awards which is expected to come off december 2018. Zylofon Media made known its intention to finance Ghana Movie Awards earlier this year to put out the very best of productions to boost the Industry and also enable them cross the boarders of Ghana. 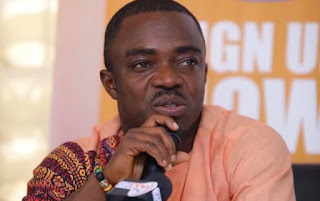 However in a statement signed by the Communication Director for Zylofon Media, Samuel Atuobi Baah said, ''Since our organization (Zylofon Media) started the partnership with our strategic partners of the scheme in 2016, there were plans to organize it in subsequent years but due to our organizational agenda and timing, we intend to consider doing it next year which fits well in our plans and activities''. ''That notwithstanding, the initial franchise owners see the need to organize their own event. This move Zylofon Media is not against. However, we wish to state emphatically that we have no contribution to the organization of this year`s (2018) event.'' - the statement further revealed. The outfit continued to say that it will start new film awards named Zylofon Films Awards. The general public, the media and stakeholders in the movie industry should be notified that as much as Zylofon Media has every right to organize what we know as the Ghana Movie Awards, this year`s organization does not involve officials or management of Zylofon Media. Since our organization (Zylofon Media) started the partnership with our strategic partners of the scheme in 2016, there were plans to organize it in subsequent years but due to our organizational agenda and timing, we intend to consider doing it next year which fits well in our plans and activities. That notwithstanding, the initial franchise owners see the need to organize their own event. This move Zylofon Media is not against. However, we wish to state emphatically that we have no contribution to the organization of this year`s (2018) event. We are not involved financially. We are not providing logistics, neither are we part of planning of the event. Therefore, the general public should disregard any involvement or attachment of our brand to the news making rounds that Zylofon Media is part of the organization. We wish them well in all their endeavors as they embark on this journey.